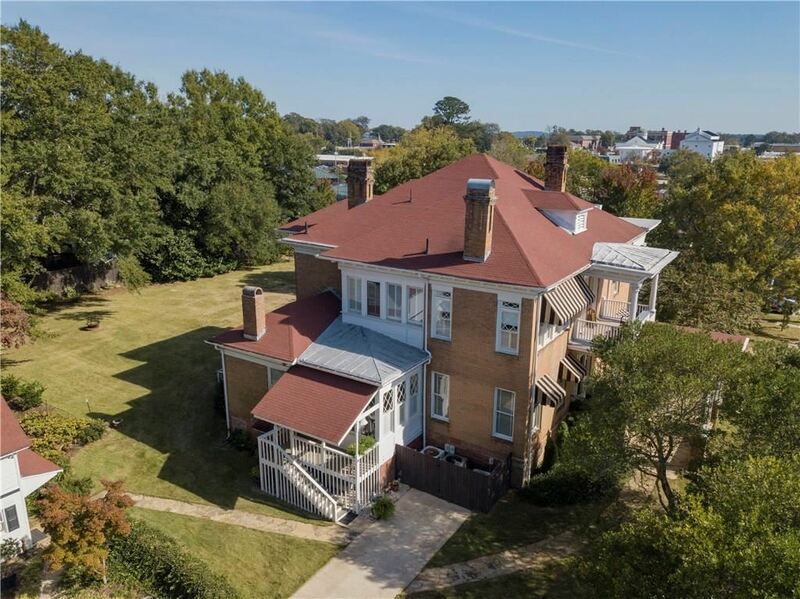 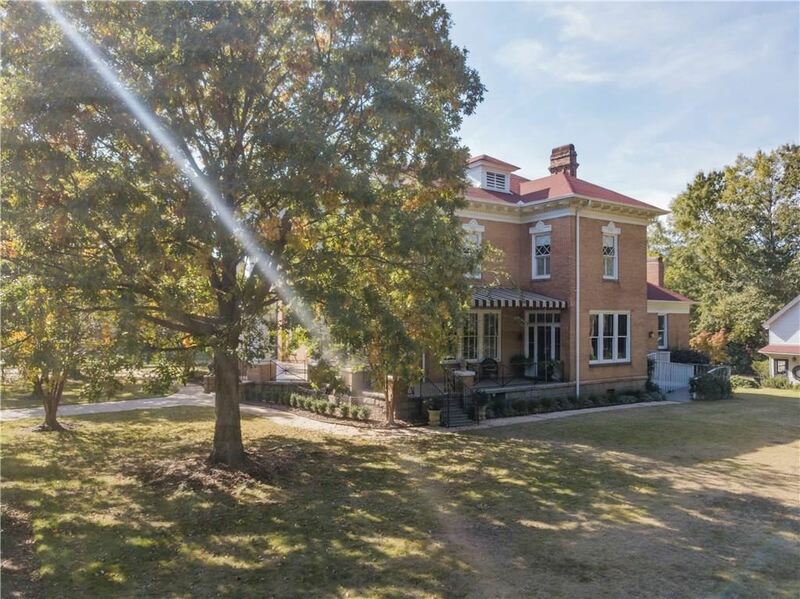 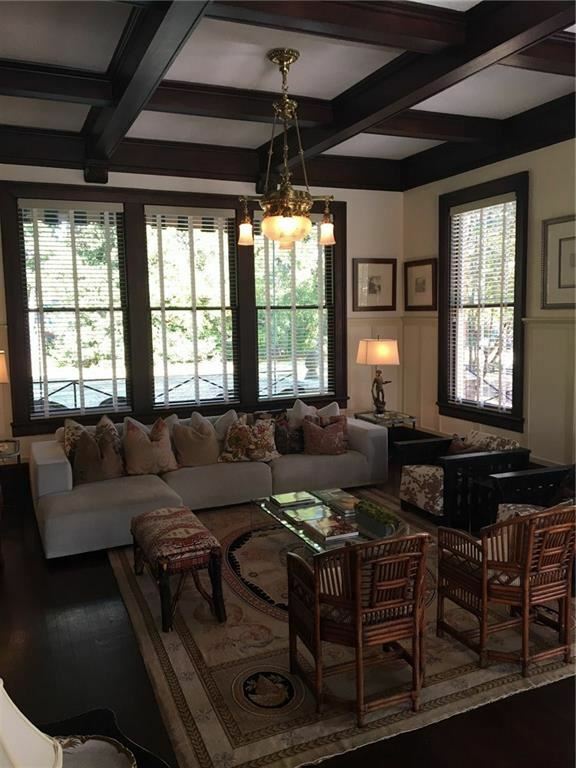 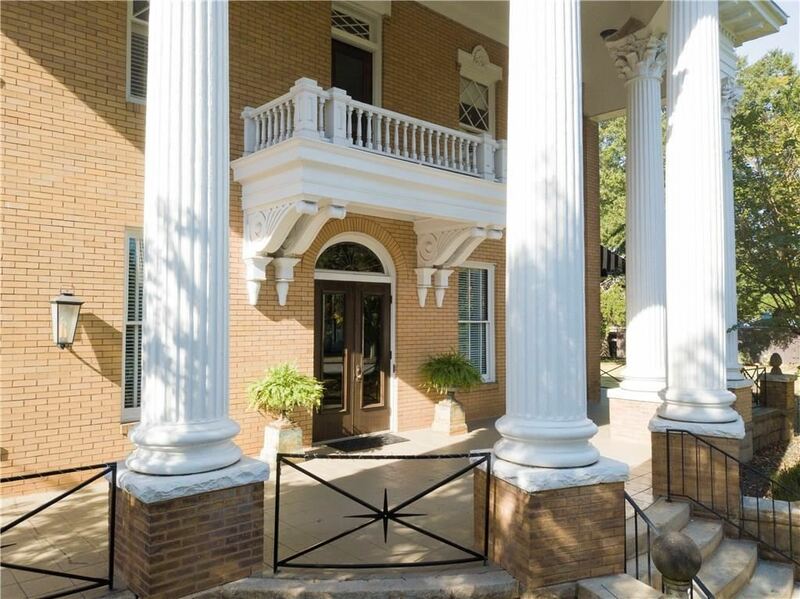 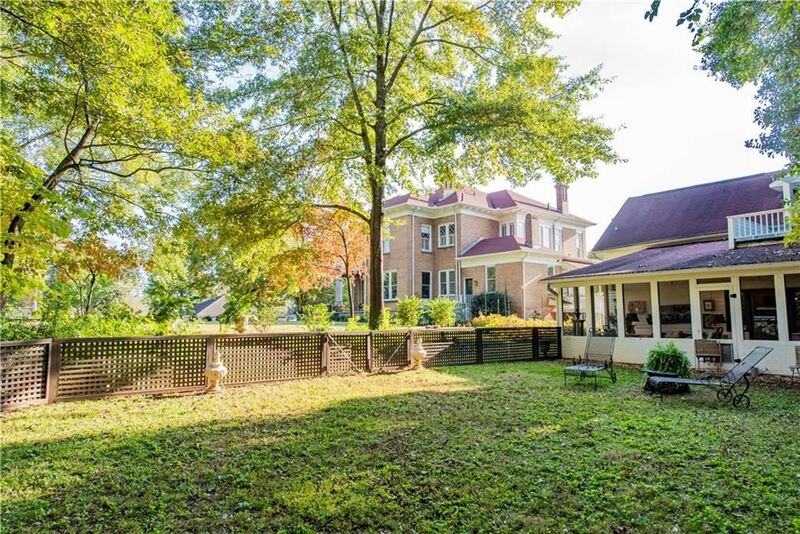 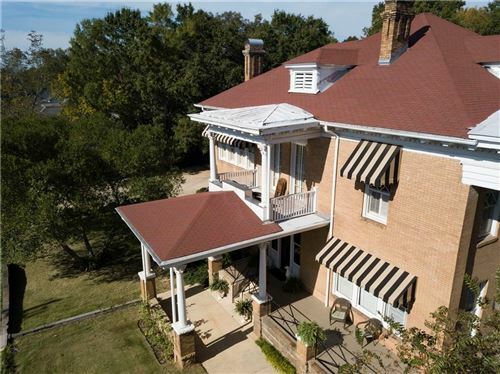 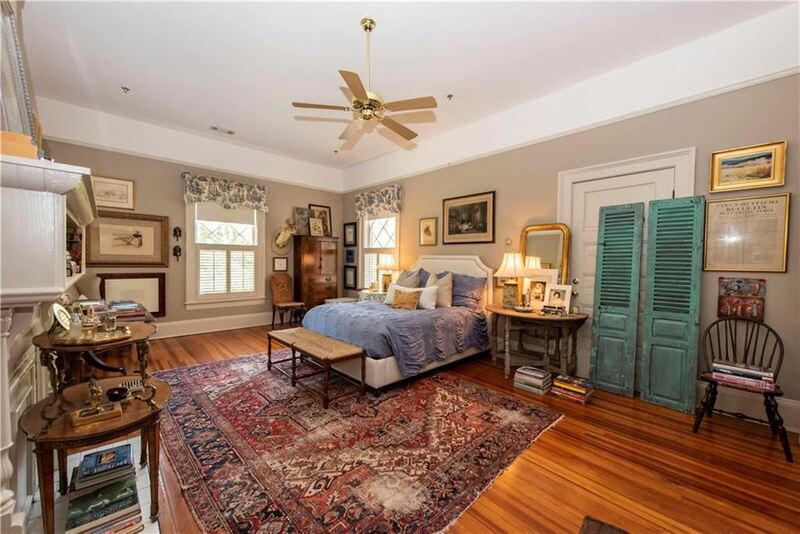 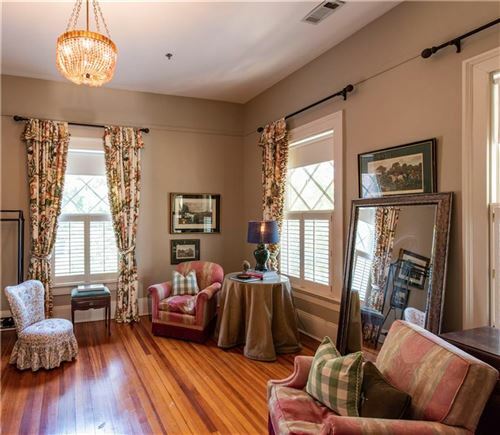 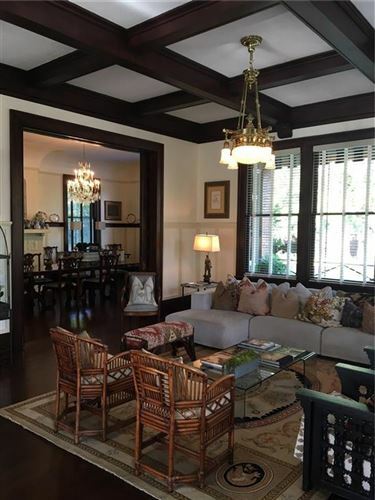 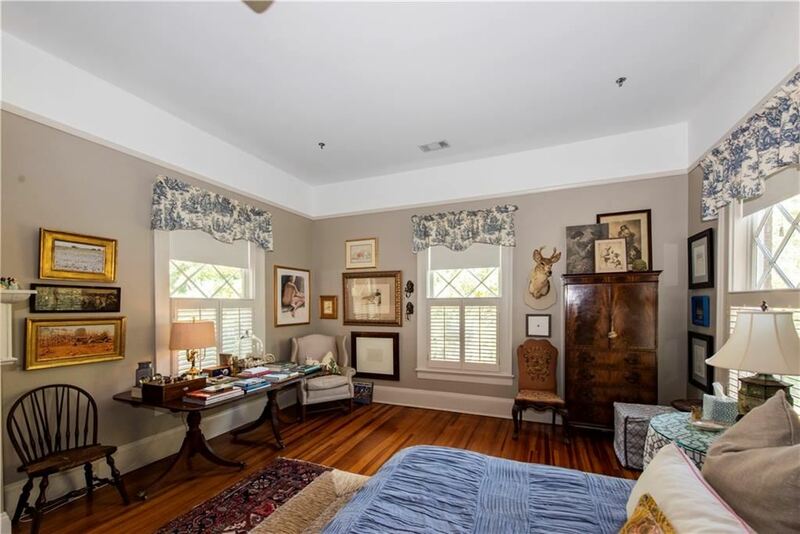 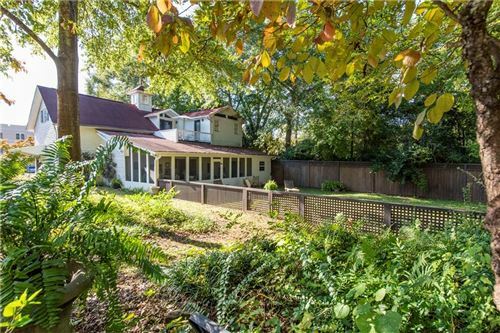 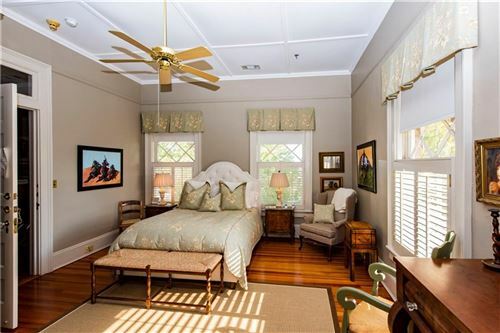 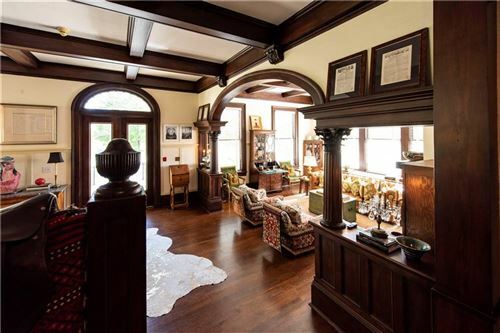 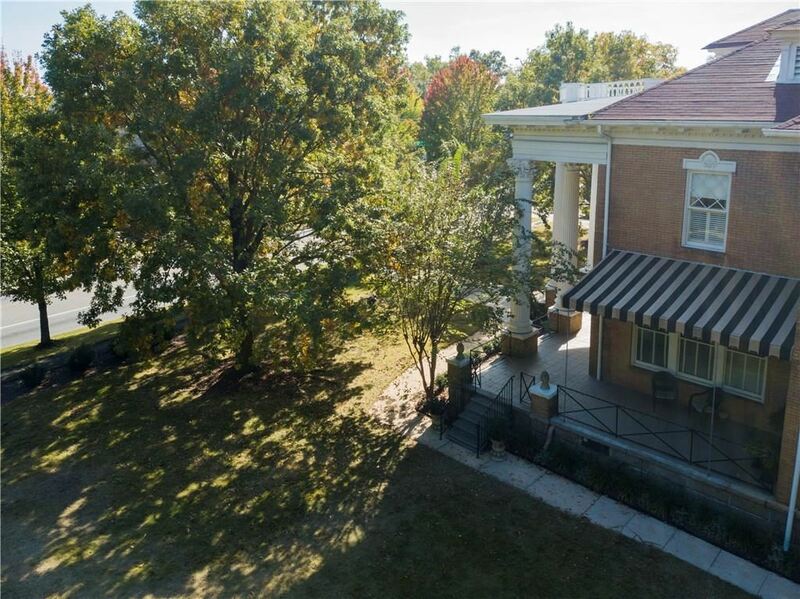 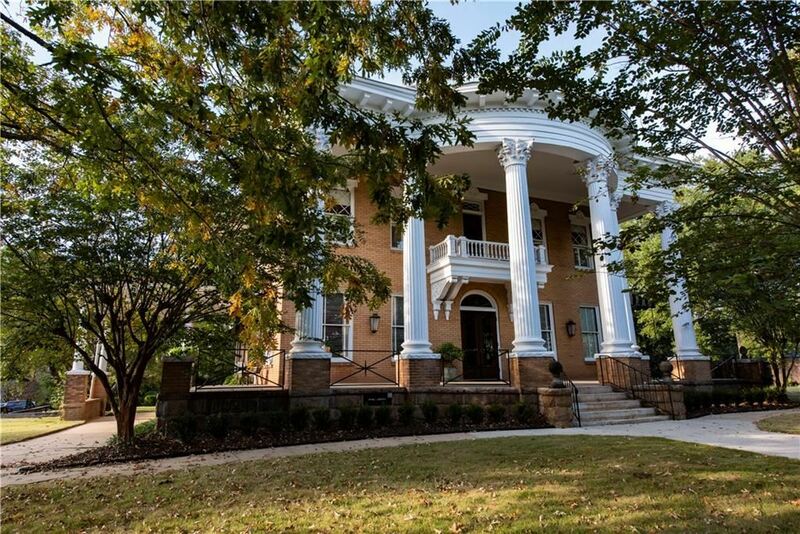 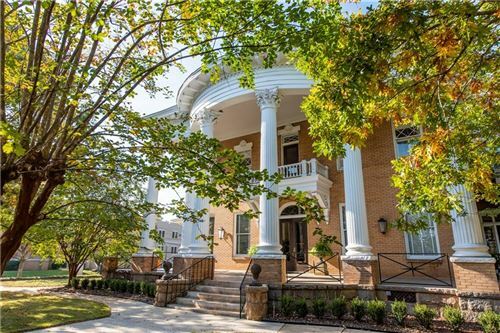 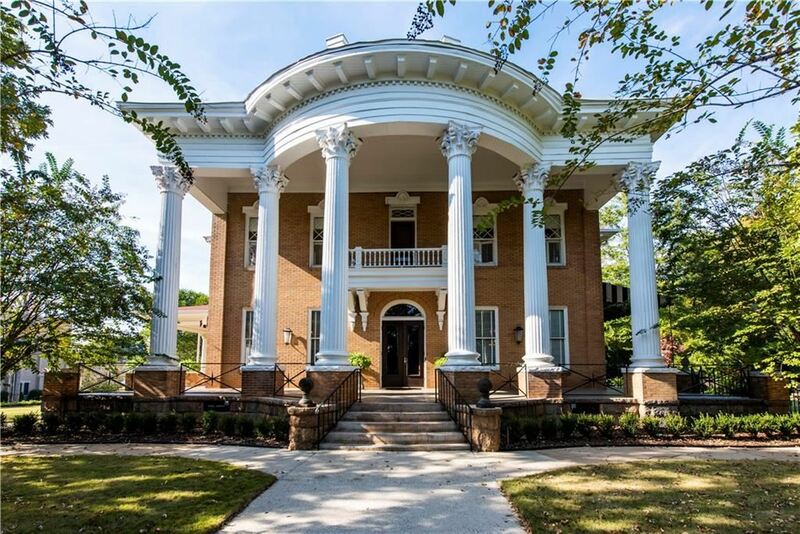 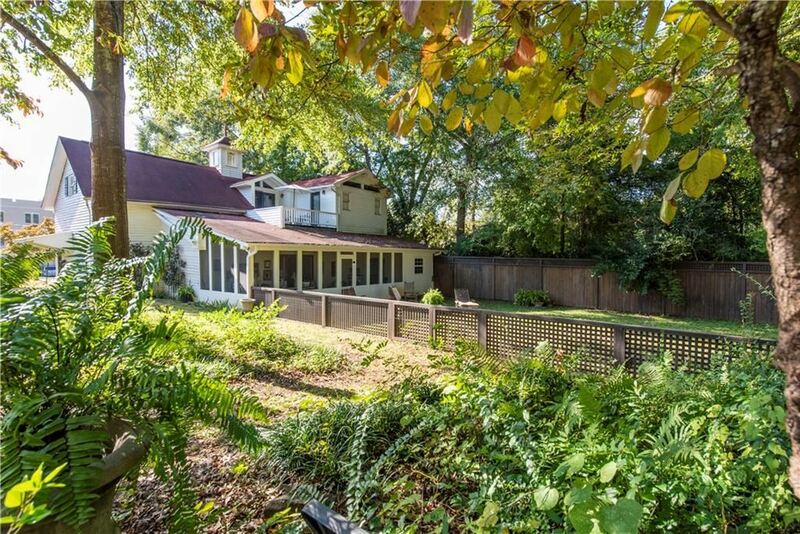 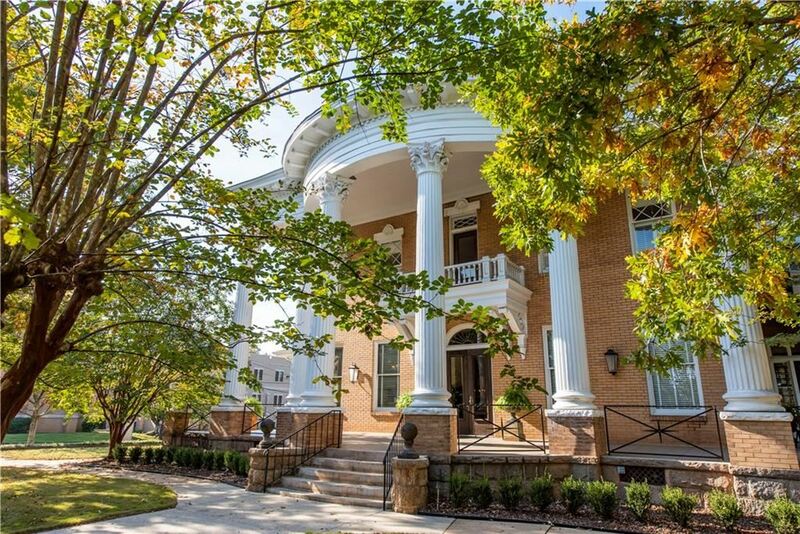 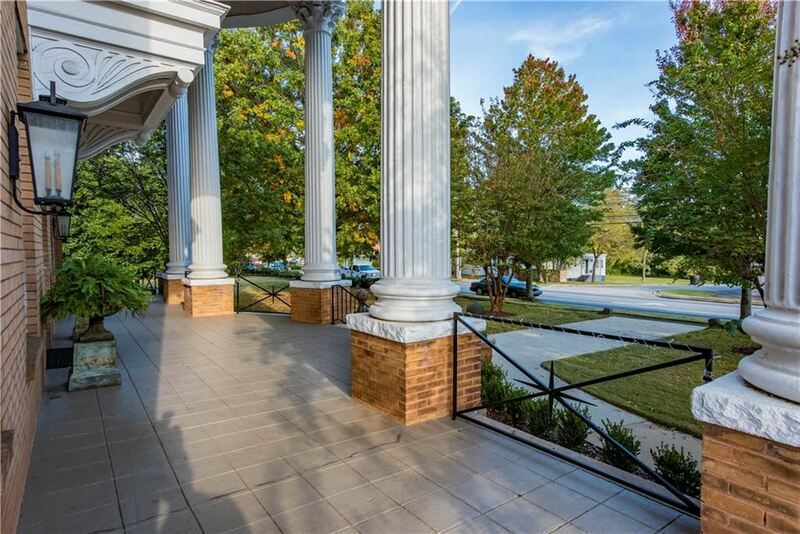 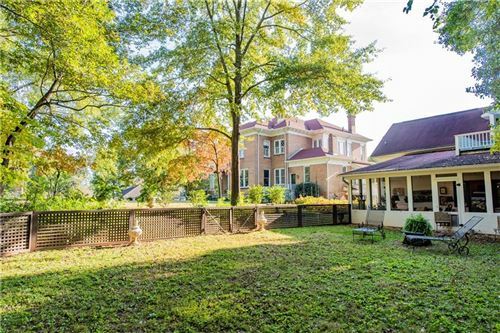 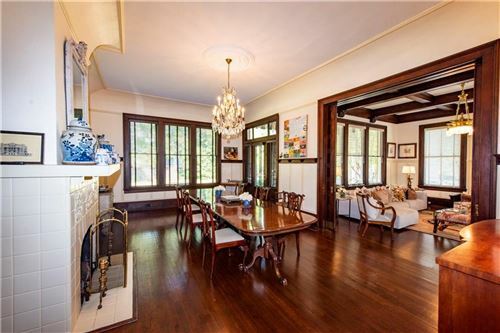 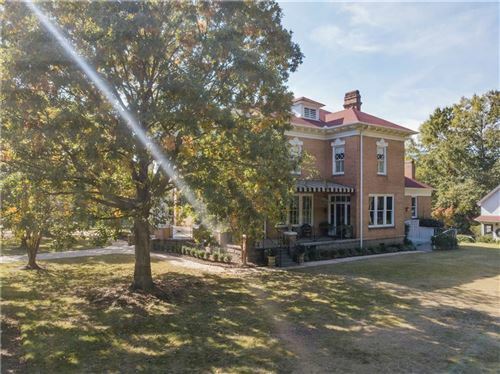 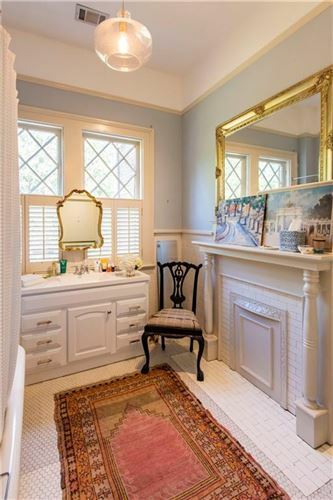 Very rare stately home in Opelika Historic District located on almost 1 acre lot zoned C2 (residential or commercial). 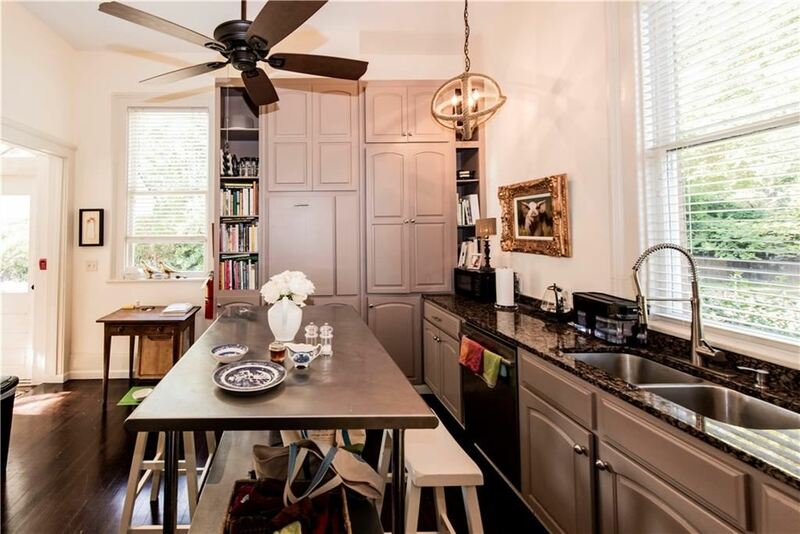 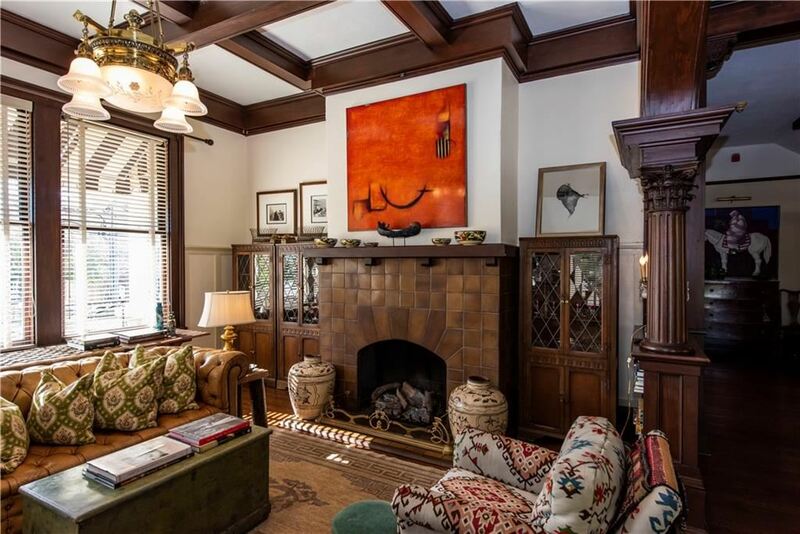 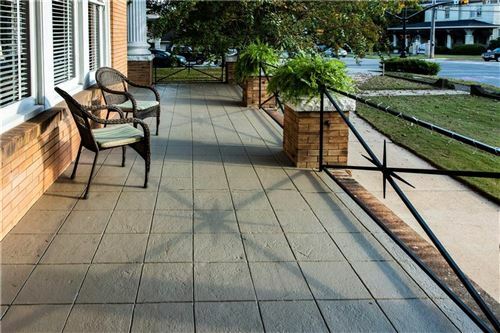 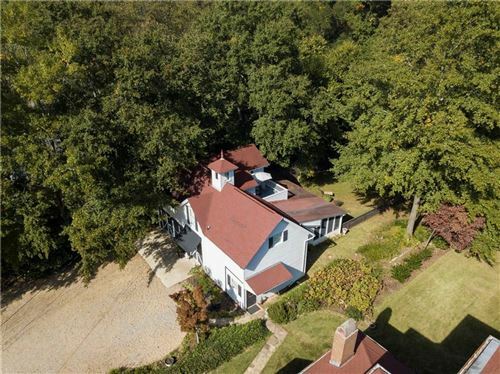 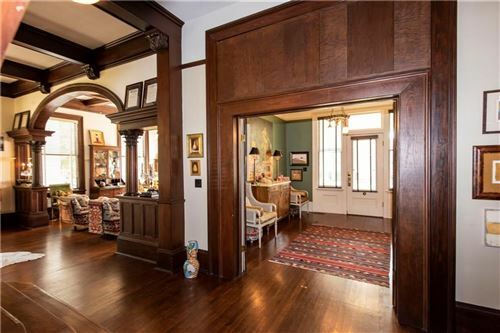 This home is in excellent condition and features irreplaceable craftsmanship. 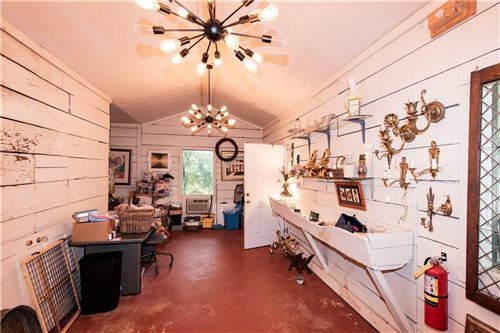 Ceilings are 12 feet and 11 feet up. 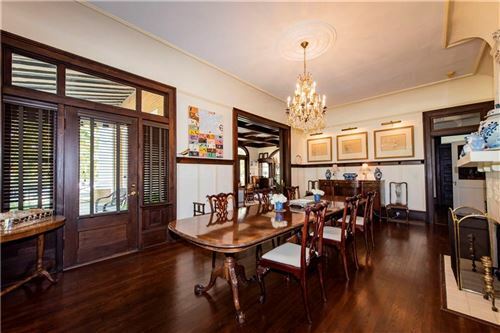 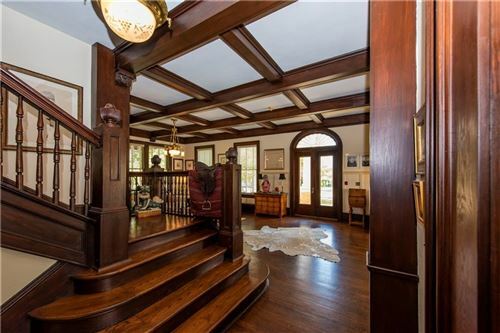 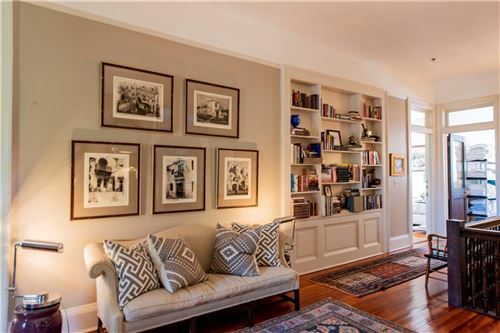 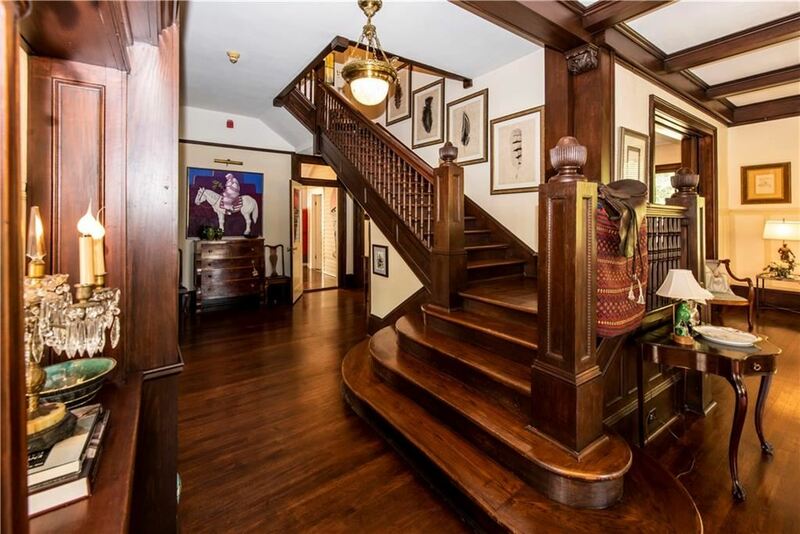 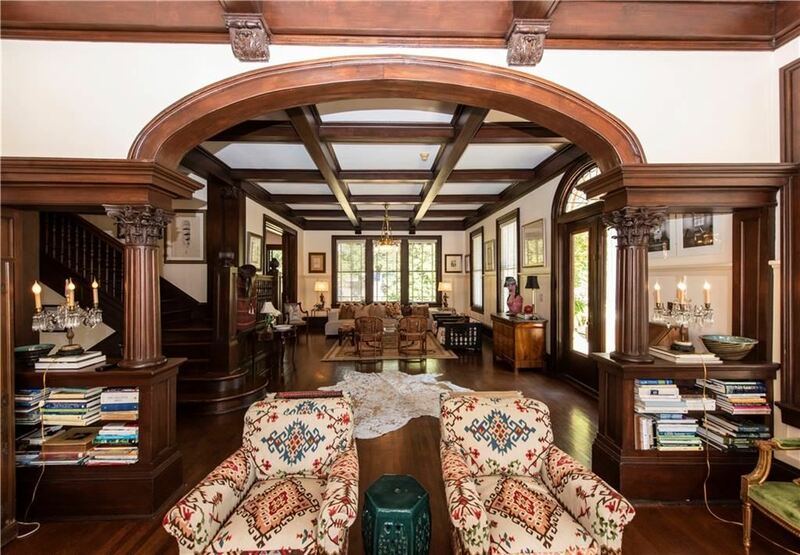 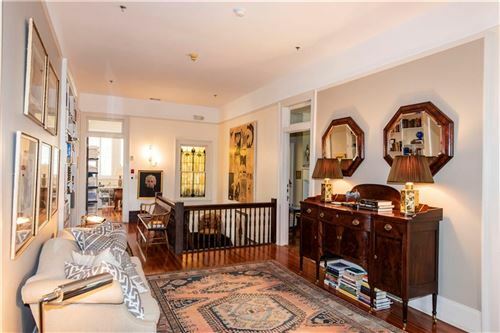 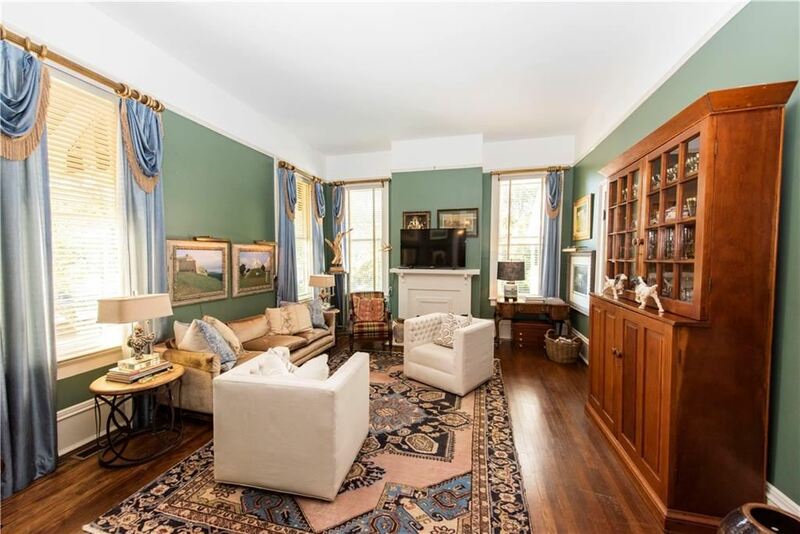 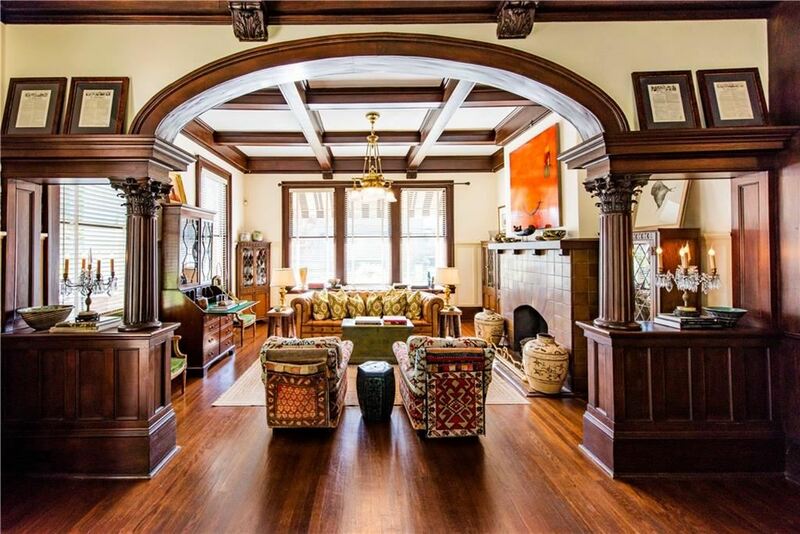 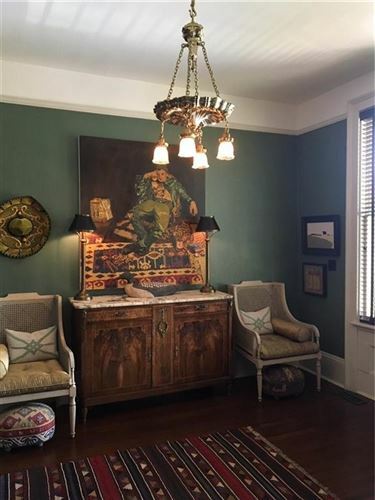 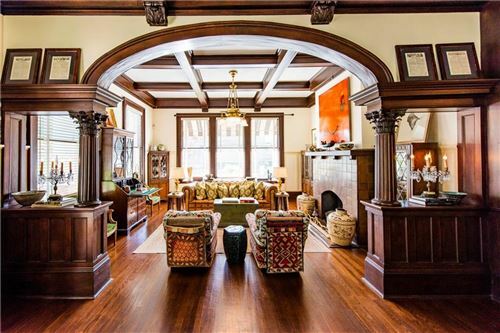 The grand stairway is the focal point of the main living areas w/ lovely millwork, original chandeliers & gleaming wood floors, all in pristine condition. The banquet size dining room is approx. 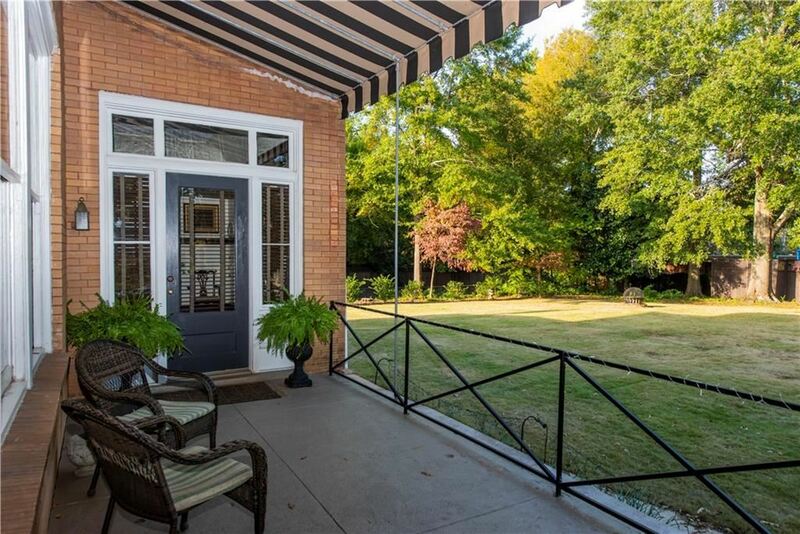 25x15 and accesses a covered patio ideal for entertaining and traffic flow. 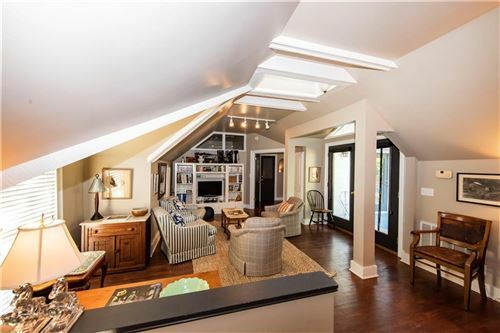 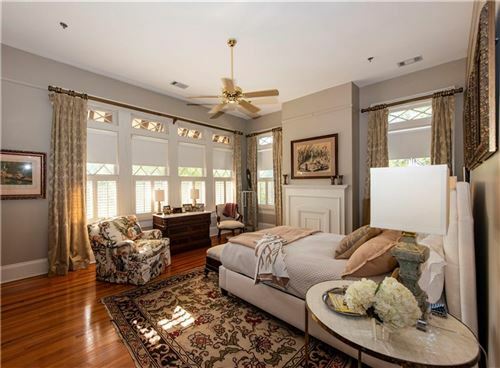 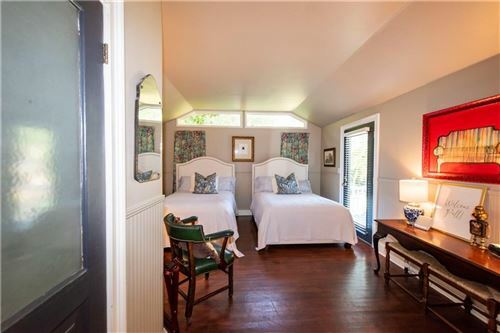 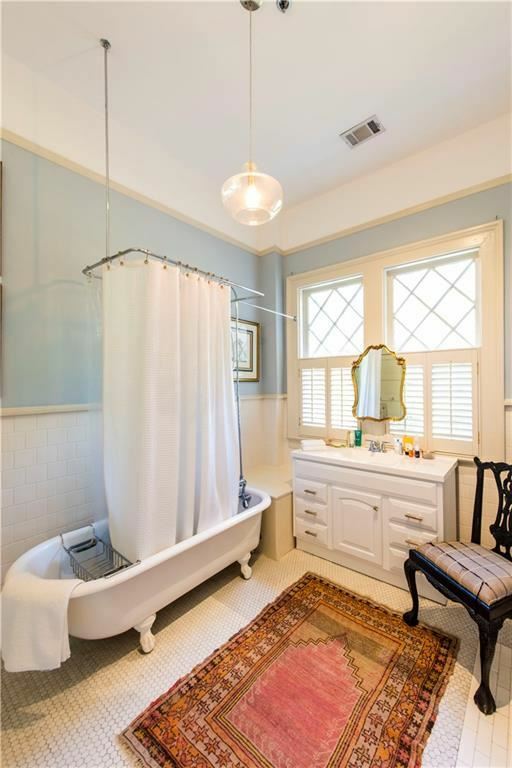 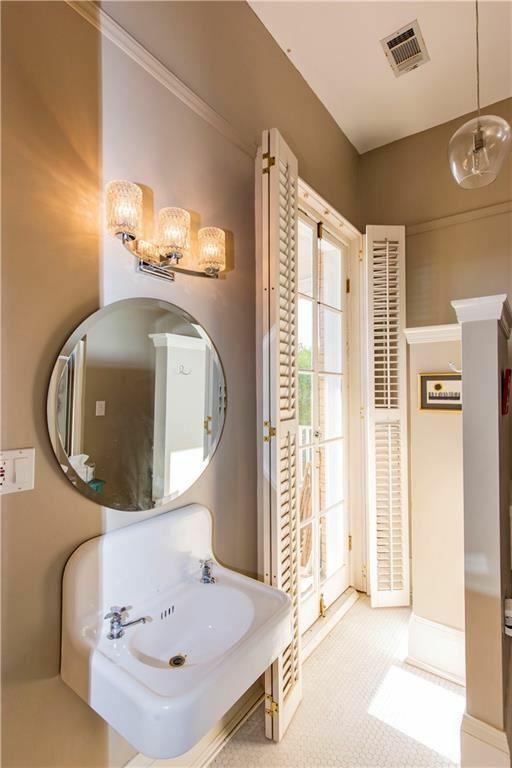 Upstairs are 4 lovely bedrooms off a large central hallway (two w/ French door balcony access), all w/ private baths. 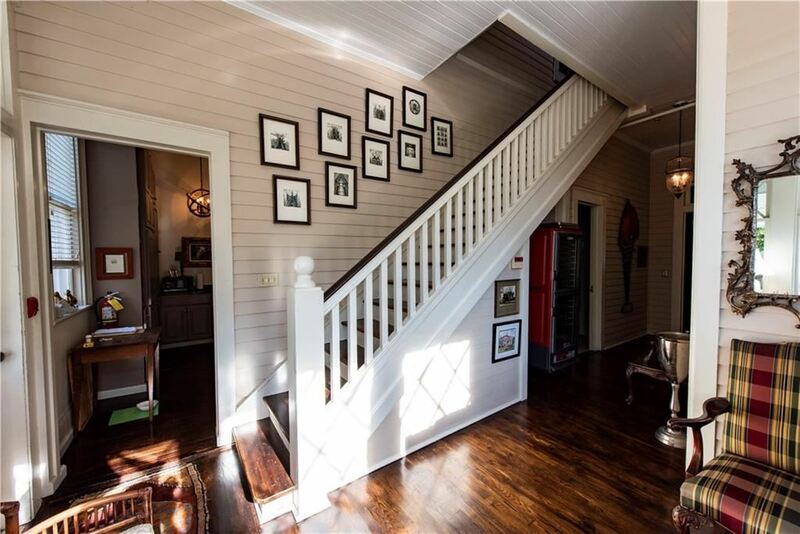 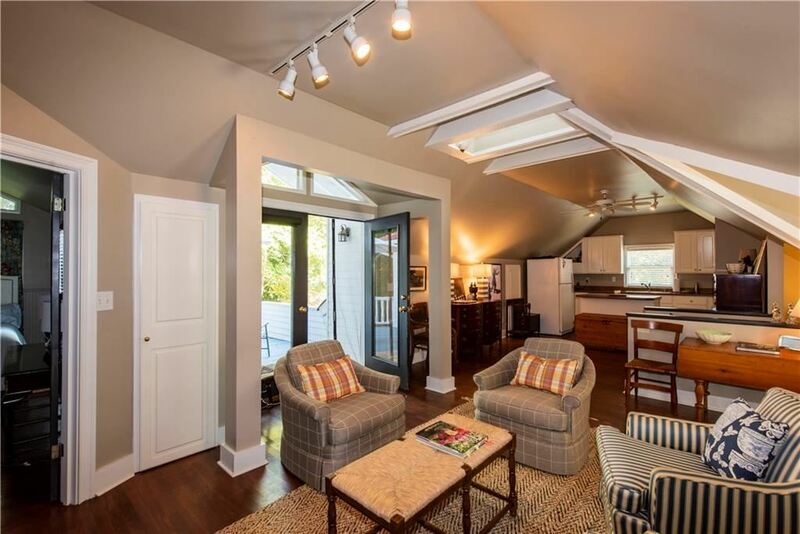 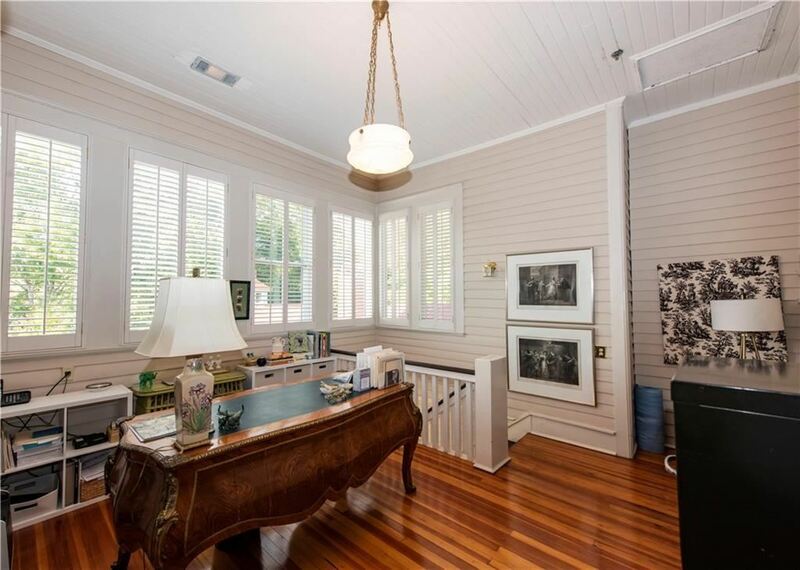 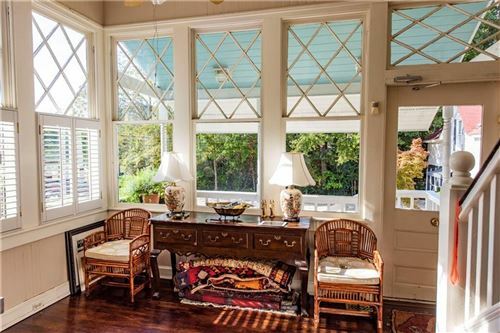 There is also a sunny upstairs study/sleeping porch w/ back stairway access. 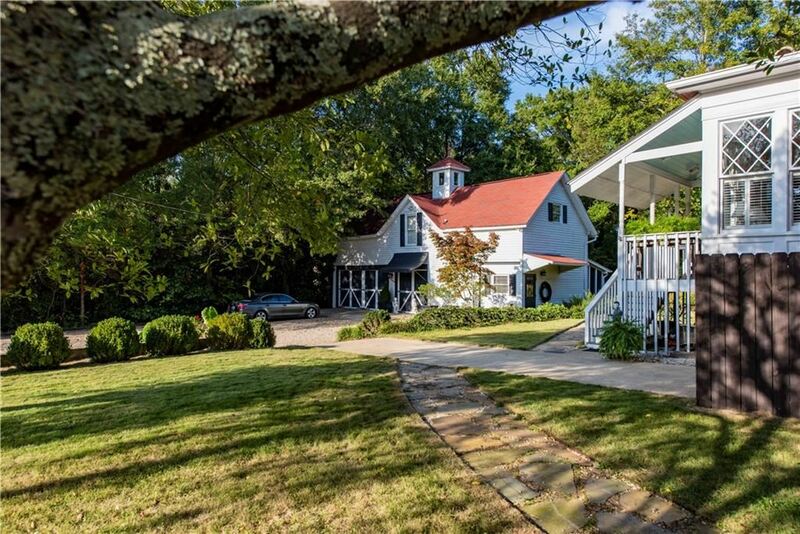 The guest house on the rear of the lot was originally a horse/carriage stable. It has been converted to a guest house with approx. 1,000 sq. 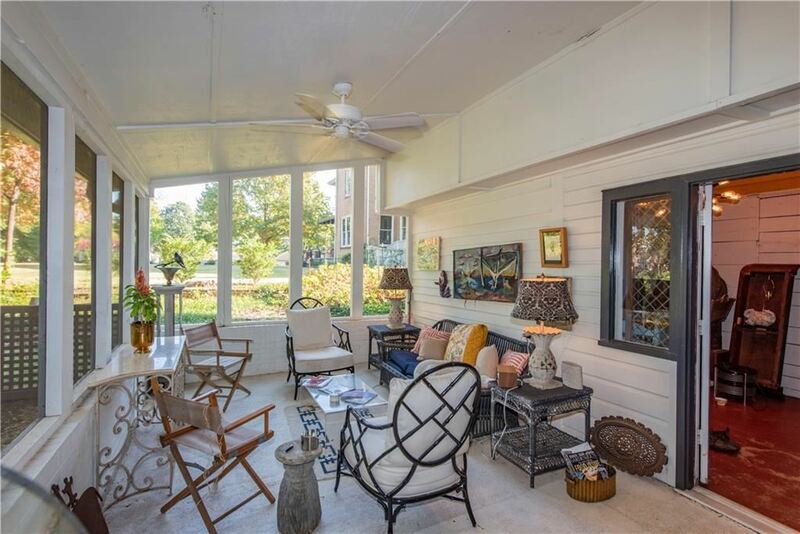 ft. with screened porch, fenced yard and bonus spaces. The home has operated as a bed & breakfast and event center. 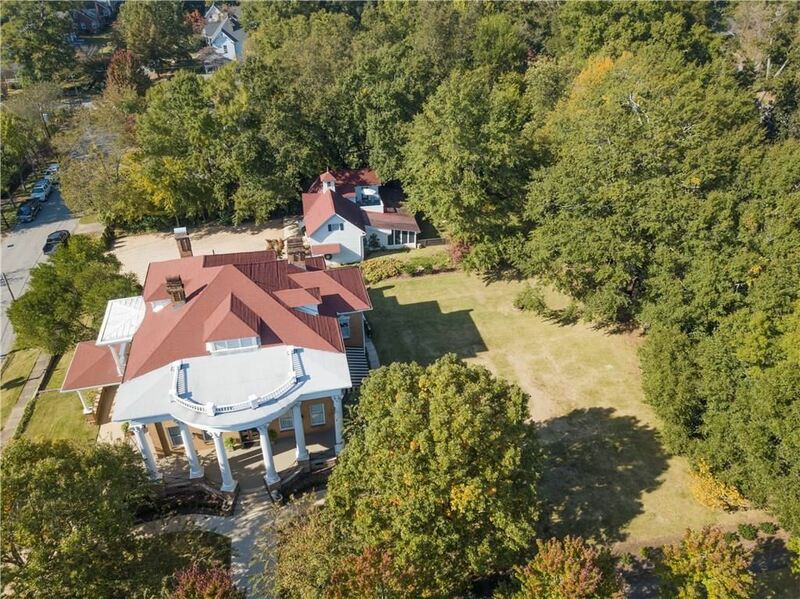 It is currently a private residence. 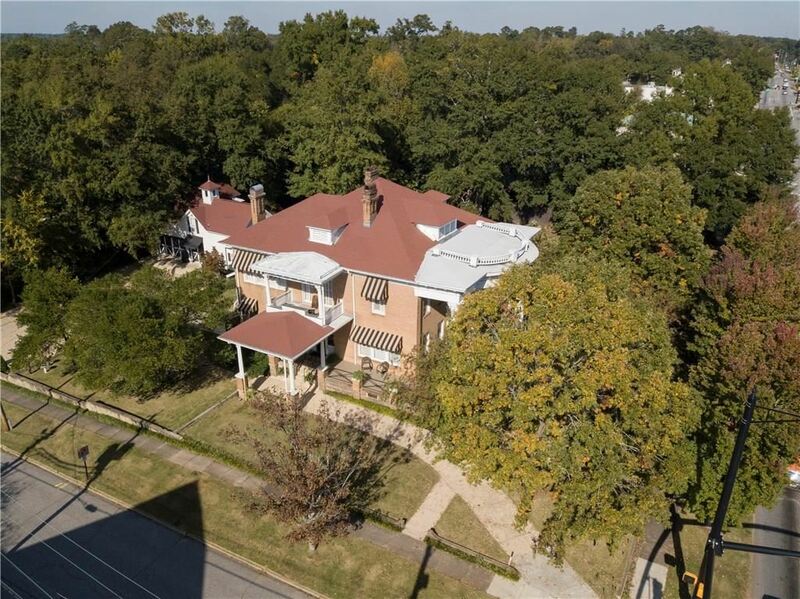 Listing provided by RICK WHITE, PRESTIGE PROPERTIES, INC.